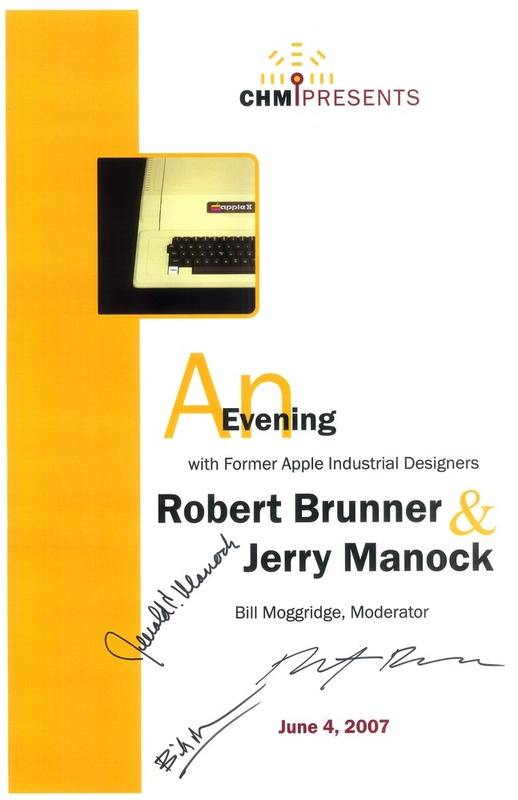 Poster for Computer History Museum lecture with Robert Bunner & Jerry Manock and Bill Moggridge, Moderator, held June 4, 2007. Gold and white background with inset image of Apple II. Signed by all three participants.